Humber College is preparing to take a bold step forward into the future as construction of its new state-of-the-art technology hub is scheduled to open next spring. Once operational, the Barrett Centre for Technology Innovation (CTI) will immediately become the heart of technological innovation at Humber. The new addition to North campus scheduled to open in April 2018 will be a huge benefit to students and faculty alike. The 93,000-square-foot facility has no classrooms, but it will contain dedicated space for students to conduct research, design prototypes and manufacture products. One of the core principles behind the CTI is increased collaboration with tech companies partnered with Humber. The space available in the new facility will allow these companies to work directly with Humber students on various projects in an effort to solve real-world industrial problems. Companies will also bring to the CTI some of the most cutting-edge technology available. 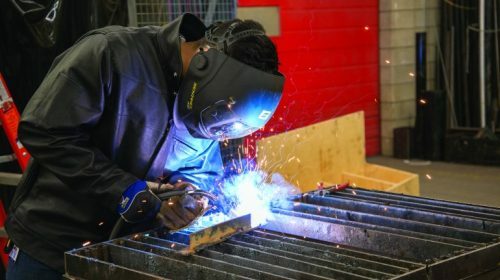 Humber students will soon have advanced equipment in mechatronics, robotics, computer control systems, virtual reality and 3-D printing at their disposal. 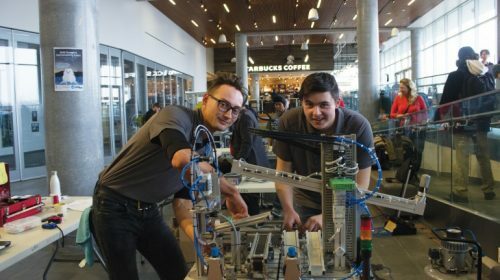 “In the past, we had to go and work at outside facilities to finish certain projects because Humber lacked the equipment,” Avery Bird said, a graduate of Humber’s electromechanical engineering program. Bird said starting in 2018 companies will be coming to Humber and setting up shop in the CTI rather than the college going to their facilities. The CTI will also give students production space, so they can design and test prototypes for actual products. “The new facility will get students out of the classroom, give them direct hands-on experience and encourage them to find solutions to real-world problems,” Darren Lawless said, Humber’s Dean of Applied Research and Innovation. Cisco Systems Canada, Siemens Canada, Universal Music Canada and Xerox are just a few of Humber’s industry partners involved with the CTI as listed on their website. “Working directly with these companies on campus will also benefit students when it comes to making contacts in their field of study or forging a career path,” Lawless said. Another core principle of the CTI is the multidisciplinary research expected to take place between students in different fields of study. There will be opportunities for all Humber students to come together and use the facility as technology is linked to all fields of study. 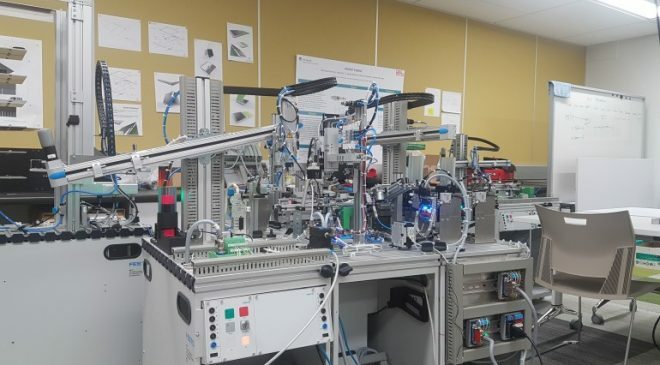 “We want the CTI to be popular with both students and our industry partners,” Neal Mohammed said, the director of the Centre for Technology Innovation. He said it is imperative for students to maintain relationships with our industry partners as it may lead to a future career opportunity. The fundamental goal of the CTI, however, is to ensure students have the technical tools and support they need to launch a tech-based career in the 21st century.